[LONDON] — [10 AUGUST 2017] Carpetright, UK’s leading flooring and beds retailer, has partnered with Qubit, a leader in marketing personalisation technology, to help drive in-store sales through tailored online experiences. The company is now prioritising online personalisation; recognising that the path to purchase often starts long before a customer walks into a store. Carpetright trade from 434 stores and concessions in the UK as well as 137 stores across Holland, Belgium and the Republic of Ireland. The partnership follows a marked increase in online activity for Carpetright, which saw online sales rise by 74%, and website traffic increase by 40%, in the last year alone. Following a 12 month rebranding process, Carpetright’s website has been identified as a key growth area. 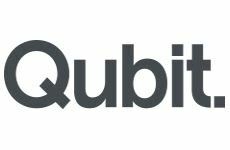 Qubit’s technology will be used to deliver tailored, personalized online experiences with two main goals, firstly to drive customers into physical shops to complete their purchases, and secondly to increase sales through the website. Qubit will harness customer behaviour and intent data to divide customers into segments, which can then be targeted with product recommendations, relevant and timely deals, as well as driving customers towards their local Carpetright store. High value segments will receive specifically tailored experiences, for example, landlords will be targeted with suggestions and deals on affordable, durable floor coverings, while new homeowners will receive recommendations on a range of samples that can be delivered on demand, ahead of a visit to a shop. Founded in 1988, Carpetright has become the most recognised floor covering provider in the UK, servicing a market estimated to be worth approximately £2.1bn per annum.